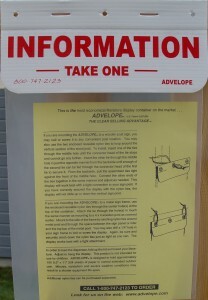 The Original Advelope is our first generation outdoor flyer holder. 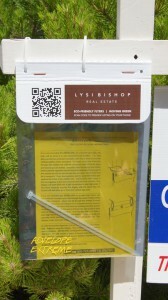 The clear plastic bag makes flyers easy to read from within the pouch. The weather resistant pouch holds up to 50 – 8 1/2 “x 11″ flyers and easily attaches to any real estate sign with two zip ties. Pick up the Permit pouch and the Advelope locally! 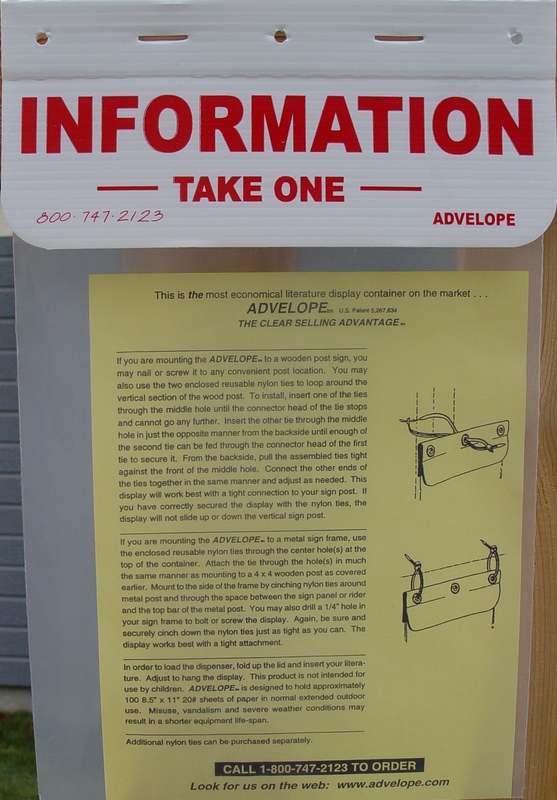 Ask for Advelope at your local Realtor Association Store.